Which sealing mode is best for application? In the impulse sealing mode the heating cycle is synchronized with the rhythm of the machine. Every heating phase is followed by a cooling phase while the jaws remain closed for a brief interval. Cooling is effected with jaws closed so that the seal has already set and has good strength and appearance when the jaws open. 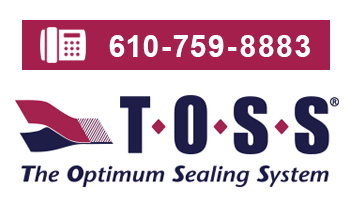 This method is preferred when sealing time is available because the bond that is formed during the cooling phase creates a strong seal with superior appearance. This is especially important when working with shrink films. The Heatseal Band is continuously energized for the duration of the machine use. The band temperature is constantly monitored and maintained at the pre-set temperature. During the sealing phase the controller automatically compensates for the “lost” heat by adjusting the voltage supplied to the band. During pauses between cycles, the controller releases only a small amount of energy to compensate for the heat lost into the environment. When the jaws are open, the controller will restrict the energy delivered and overheating is not possible. The constant heat feature is usually used for speeds over 50-60 cycles/minute when the interval between seal cycles is very short. The seal must cool or be cooled after the jaws have opened. This mode can effectively be employed for the high speed making of empty bags and similar applications. Constant heat mode is rarely satisfactory in form/fill/seal applications because the contents of the package tends to force the seal open or disfigure it before the seal has cooled and set. The advantages of this Constant heat method are that the Heatseal Band is not repetitively cycled on and off and the demand during the initial heating phase can be less than that required for the impulse process. The constant temperature minimizes the stress on the Heatseal Band because the band remains in its expanded condition when heated. The disadvantage of the constant heat is the loss of controlled cooling while the jaws continue to grip the seal. Seals tend to shrink or deform if the jaws are opened while the film is still hot. Generally, when operating with constant heat, the seal is cooled immediately after jaw opening by use of cooling air or a quenching jaw. When in “Constant Heat” mode, a fast cool down of the Heatseal element is not called for; therefore, good thermal insulation between the Heatseal Band and the jaw is helpful. Less heat will be lost into the jaws and less total energy will be consumed. The result is less demand on the Transformer and the Heatseal Controller. Heat sealing can be accomplished with the ROPEX® Resistron® (RES) Heatseal Temperature Controller in two basic modes; constant heat or impulse. The choice of mode and the correct timing of the heat and cool cycles will be finally determined by practical tests with the machine, the product, and the film. There are some guidelines however.